For some of the most innovative and skilled orthodontic and dental cosmetic services in Miami, visit Dr. Pavel Ivanov. As a certified dental braces and Invisalign provider who specializes in non-extraction and non-surgical orthodontics, he is meticulous when it comes to perfecting smiles. Highly rated Miami FL Orthodontist Dr. Ivanov provides quality dental braces & Invisalign braces to families in Aventura, North Miami Beach, North Miami, and surrounding areas. We offer something unique and different than most orthodontic dental offices: non-extraction and non-surgical orthodontic services, high end Lasers, and use only top of the line labs made in the USA. We are extremely customer service oriented. Each and every patient is very important to us and a part of our own family. Our team is highly trained and superior from front to back and will take good care of you and provide exceptional customer service. Our practice is friendly place where you can relax and enjoy wide range of amenities. We invite you to take this opportunity to visit us and look forward to meeting you. We know you will be happy that you chose Ivanov Orthodontic Experts! 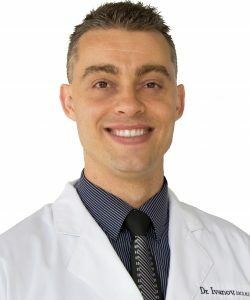 Pavel Ivanov, DMD, MS completed specialized training in Orthodontics and Dentofacial Orthopedics at Nova Southeastern University for an additional two and a half years longer than a regular dentist to provide individualized smiles, predictable results, and exceptional care for his patients. Dr. Ivanov commits himself to excellence in orthodontics and graduated first in his dental class of 129 dentists, a status that less than 1 percent of all practicing orthodontists obtain in their careers. He has 10+ years’ experience and is certified with dental braces, clear braces, and Invisalign to be able to treat the most challenging cases. Dr. Ivanov was awarded Masters of Science at NSU. Dr. Ivanov is also a member of various dental and orthodontic organizations and orthodontic forums. Dr. Ivanov enjoys spending time with family, traveling, and learning how to improve the quality of care for his patients. You can find him volunteering with local charities in his spare time. We want you to think of us as family.